What a rave from John Chappell of The Pilot! Four more chances to see Driving Miss Daisy! Fayetteville Observer’s “Weekender” picks DAISY! Fayetteville Observer’s current “Weekender” has TWO photos from DRIVING MISS DAISY! We’re spotlighted as part of the Palustris Festival (thanks, Steve DeVane!) and one of the picks on the “Weekend to Weekend” calendar. Michael Learned in THE PILOT and on TV’s CHARLOTTE TODAY! Here’s our terrific feature by Mary Elle Hunter in yesterday’s The Pilot! And did you see her earlier this week on Charlotte Today? Terrific spread in Fayetteville Observer SUNDAY LIFE! There’s a beautiful two page spread in today’s (Sunday March 10) Sunday Life magazine supplement in THE FAYETTEVILLE OBSERVER. 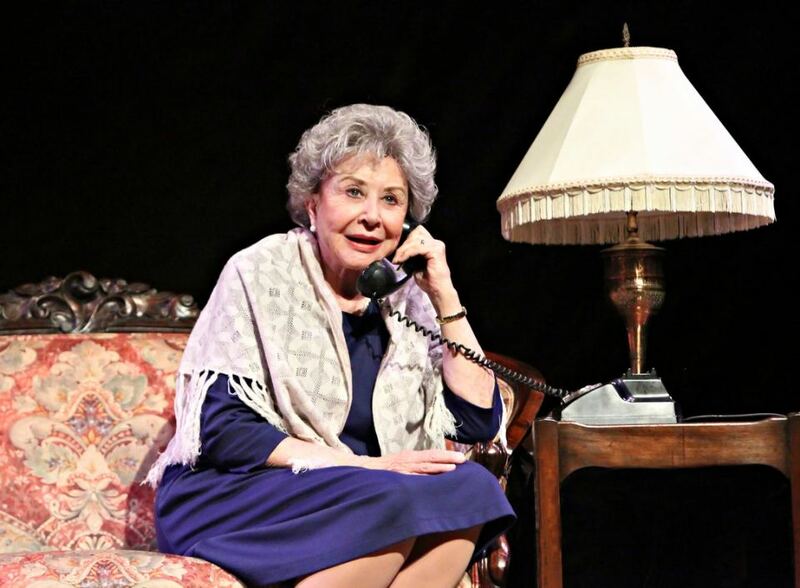 It’s a wonderful interview with our DRIVING MISS DAISY star, 4-time Emmy winner Michael Learned of “The Waltons,” accompanied by two large photos. The Observer’s Rodger Mullen did a great job, and got some interesting quotes from Michael–you’ll definitely enjoy this interview. Thanks to the Observer! The Pilot – DAISY announcement! Thanks to our friends at The Pilot for this announcement!